My favourite food/drink? Ice cream...pralines and cream preferable, but I'd take anything with caramel in it!! I kept these ice cream treats plain and simple as I only had 30 minutes to put this card together. 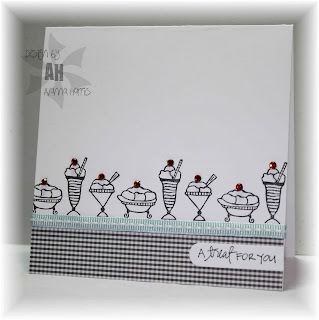 You can imagine your own favourite flavours of ice cream for this card! I have a small stash of twinkle stickers...they make perfect cherries, and provide a bit of colour pop here. A little bit of stitched ribbon leftover from last year's a muse peace and cheer kit serves as a ground for the ice cream bowls. A muse's new gingham paper works well as a table cloth. Mmmm...now I need to raid the freezer!! Care to join me?? This is SO CUTE! 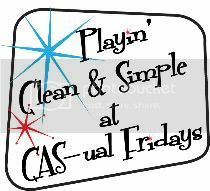 I love how clean it is...and the twinkle cherries are prefect!